Juventus coach Massimiliano Allegri, who is aiming to win the UEFA Champions League with the club this season, has claimed that Cristiano Ronaldo is the best player in the world and he can help the club achieve European glory this May, in the pre-match news conference, ahead of their clash with Atletico Madrid. He also acknowledged that having the five-time Champions League winning star is an advantage for his team, but says his inclusion does not guarantee success at the biggest football competition in Europe. Ronaldo is the all-time top scorer in the competition, with 121 goals in 158 appearances for big clubs like Manchester United, Real Madrid and now Juventus. 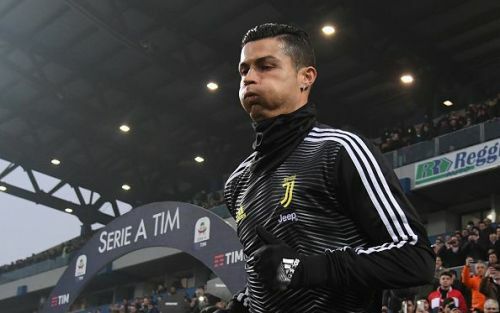 The 34-year old, who is the currently the top scorer in the Serie A, has won the competition five times and has been the top scorer in its previous six editions. Juventus haven't won any major European titles since 1996, which they won following a penalty shoot-out, defeating Ajax 4–2. Allegri's side face Diego Simeone's Atletico in their RO16 fixture. The Spanish club is one of the favourite opponents of Bianconeri #7 Ronaldo. Ahead of this crucial fixture, the Italian manager spoke to the media and highlighted the importance of Ronaldo for his team. "The Champions League is a goal. You need to play well and be lucky. Having Ronaldo is definitely an advantage, but it is the team that has to play important games." "Ronaldo is the best in the world, and you have more chances to win it with him, but you do not win automatically." Ronaldo is having a great first season with the Old Lady and he'll match Clarence Seedorf's record to have won the prestigious tournament with 3 different clubs in different countries if he leads the club to European glory this season. Cristiano Ronaldo: Cometh the hour, cometh the man.